I just made my first dish with this fettucce (fettuccine) and I was blown away. This pasta has the "bite" and springiness of regular pasta! 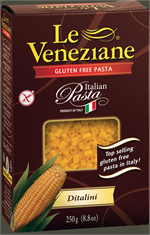 I have tried many gluten-free pastas, even doing my own taste tests, and this surpasses all. Also, I am so happy to find this shape (hard to find in gluten-free) and to see that the brand has many other shapes. Note: It is made with no salt, so salt the boiling water accordingly. I cooked it for a little longer than suggested. 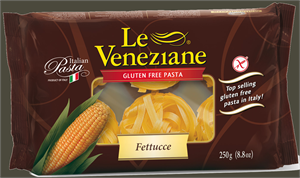 My whole family voted "my" gluten free fettucini better than their "real" pasta. We are officially all switching to this. No more making 2 different pastas ! I also agree the fettucini is the best. I made with Cabbage & Noodles. It was delicious. My husband agreed. I haven't tried any other product from the company, but I will. Thank you.